One thing that often escapes applied reason is MOT and servicing. Most of us, me included just waltz in to the first garage we see with our pants down and wallets open, ready to present to people who actually know how cars work. Now there is a problem with this approach, it leaves us all very open to being overcharged without even knowing it. Now that’s not reasonable. It is also something you cannot escape, no one can avoid the perils of MOT and servicing, rendering those of us who drive a new Rolls Royce, and those who own a used Daewoo as equals. The thought alone is heart wrenching. 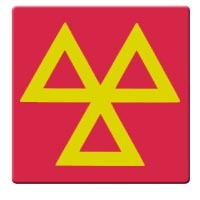 However, thanks to automotive site BuyYourCar, we now have a way of going about our MOT and servicing obligations in a logical, well thought out fashion! They have introduced a free and easy system whereby you enter the details of your model, your postcode, and then you are introduced to a list of eligible garages nearby, as well as their accurate pricing structure with regards to you model and its requirements. Choice is the facilitator of saving, pick your best price, pull your pants up, and save money.